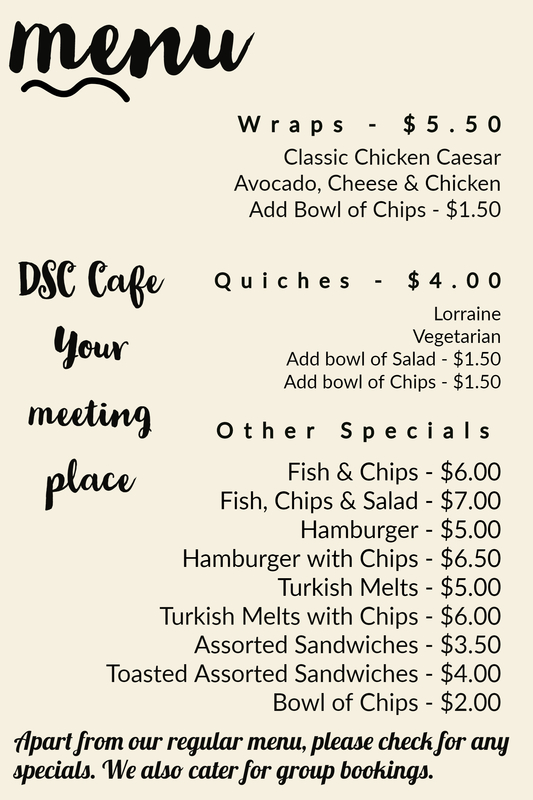 The best kept secret at the Donald Simpson Centre is our Cafe. 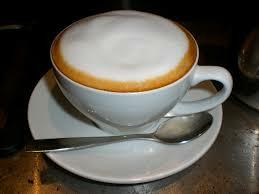 The cafe is run Monday to Friday from 8.30am to 2.30pm. 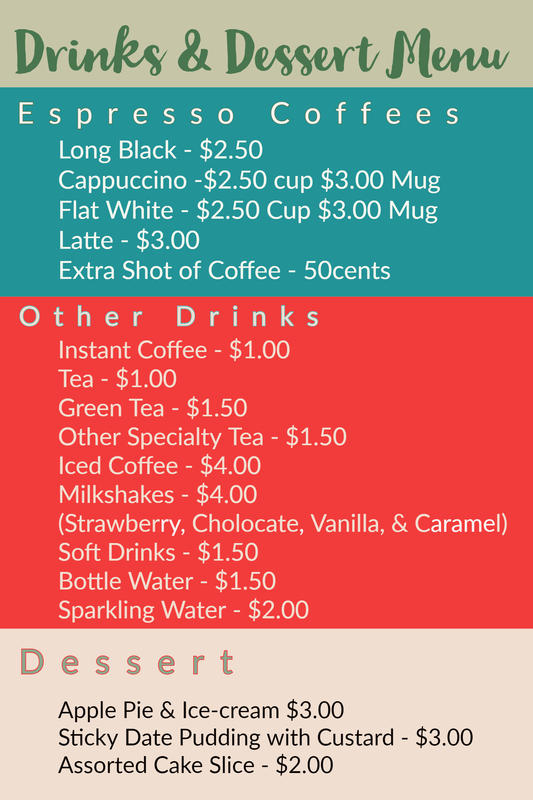 Members can place their orders before classes and pick them up when they get out. 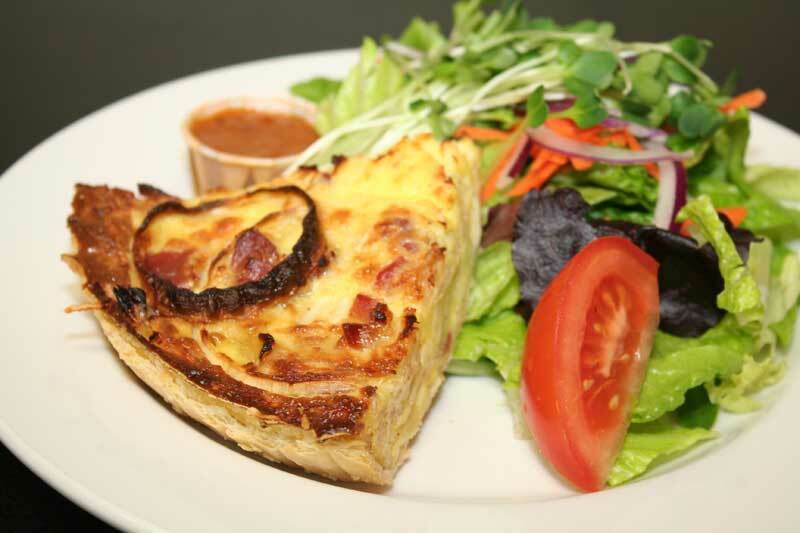 Outside visitors are also welcome to enjoy a meal at cafe or our espresso coffee. All Lunch orders must be placed before 1.30pm. Afternoon cake and coffee available until 2.30pm. For phone orders or bookings call 38211089 and talk to Ann Mason or Vanessa Wintour. Menu keeps changing regularly. 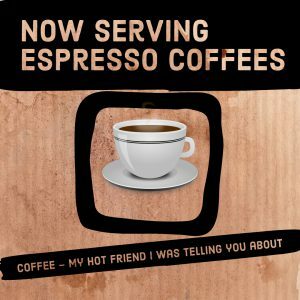 Every 5th espresso made coffee free with your loyalty card. 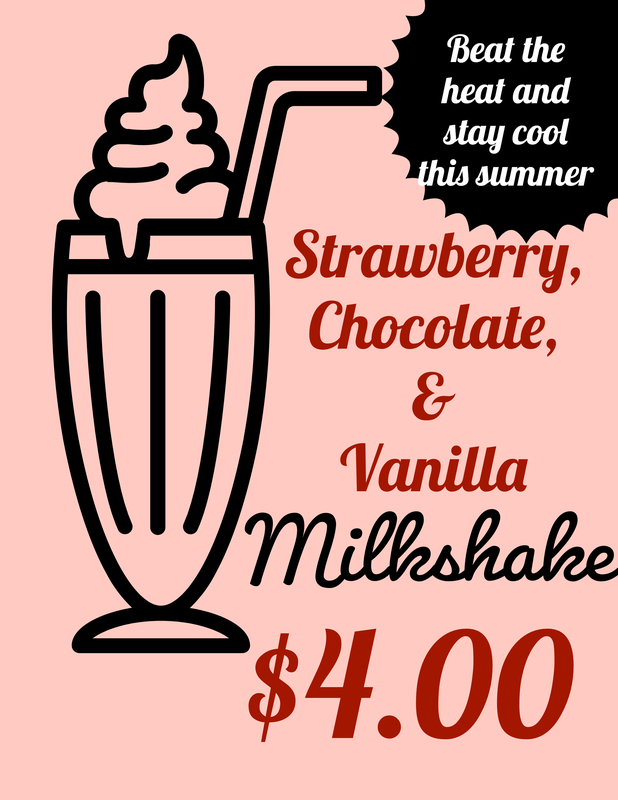 Get one today. Check in for chef specials, and other in house made delights.